Its time to spice things up every Wednesday by joining us at 'Gindungo' Kizomba night! With classes for both absolute beginners and regular dancers, we welcome you to come down and join in. You can expect entertaining and enjoyable classes drawn from our professional and progressive syllabus plus fantastic parties with proficient guest Dj's every week. Joining us for the first time? Let us welcome you! Consecutive weeks not required - attend as your schedule allows! Your Kizomba class will last 60 minutes with prepared and dedicated instructors excited to help you take your dancing to the next level! You'll meet and dance with everyone else in your classes as we switch partners regularly while we practice the different steps, techniques and movements. Expect the hour to fly by! After your class stay to enjoy our party where you can practice your new dance steps to some great music, having a refreshing drink or two and getting to know everyone else.  WHICH CLASSES CAN I TAKE? DO NOT MISS THIS FANTASTIC NIGHT OUT! If you want to learn Kizomba this is the place to be! 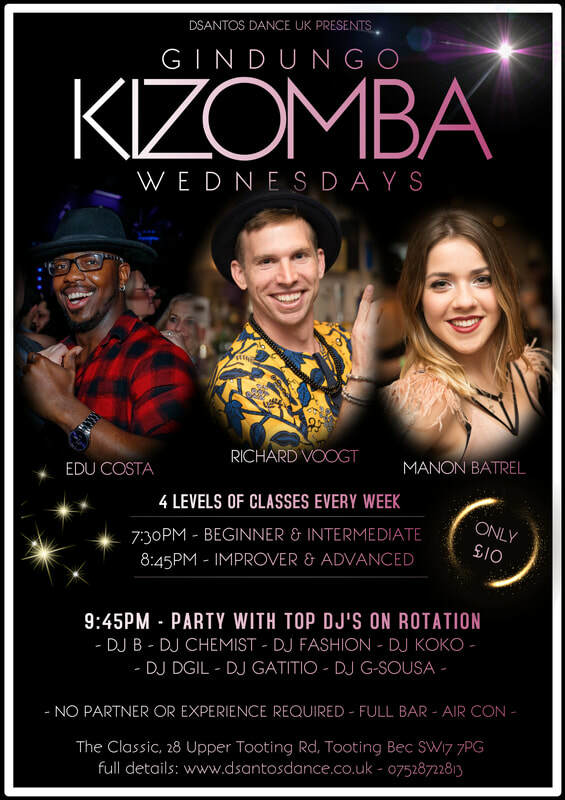 Join Dsantos Dance UK for London's Premier Weekly Wednesday night of #Kizomba classes and party with TOP instructors & DJ's! *Intermediate level: You will be required to have a solid foundation in both the beginner & Improver level syllabus before you will be ready to join the Intermediate class. **Advanced Level: A friendly and constructive, yet mandatory assessment of your dancing ability will be required before entering this level. Kizomba is a sensual partner dance originating from Angola, Africa. Angola has a rich influence on world arts and culture with both Samba and Capoeira actually finding their roots here. Kizomba, briefly speaking, was created mostly from the musical influences of Semba and Zouk. However, 'Kizomba' literally means 'Party'. 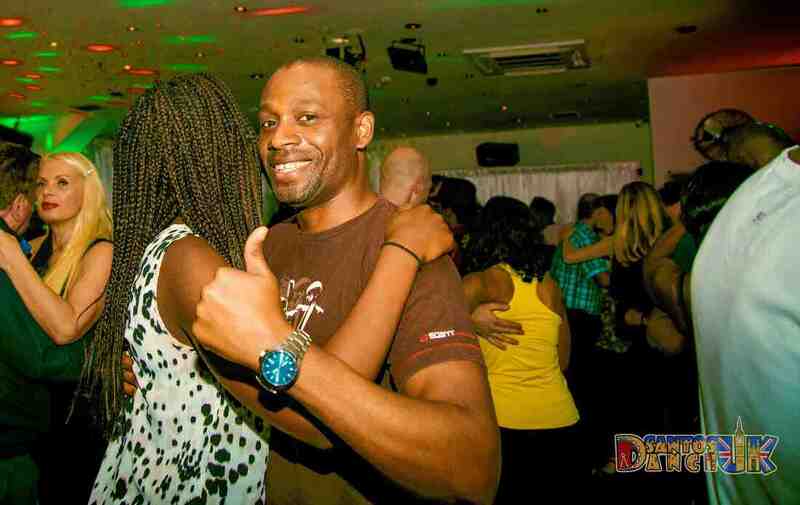 Although Kizomba now refers to a particular dance style, a night out dancing Kizomba is often accompanied by other dances such as Semba and Kuduro/Afrohouse. Interestingly, due to Angola's history with Cuba it was also not uncommon to find Salsa, Merengue and other Latin dances played at a 'Kizomba' in Angola. Today Kizomba is danced all over the world and is growing ever more popular due to the captivating music of artists past and present as well as the special connection experienced between dancers.